Some of the best, wonderful things I see clients do is give to others. They give their time, energy, effort and money to some great causes. Maybe it is to their church or to their alma mater to Big Brothers/Big Sisters or to a local theatre and arts programs. I love seeing clients make an impact in their world! Beyond your family, what important ways would you like to give back? What causes are you passionate about? The awesome news is that you can get a tax deduction or even possibly AVOID taxation by unleashing your giving spirit. In our current tax code, if you are able to get your itemized deductions ABOVE the amount of the standard deduction you can have a higher tax write-off than many Americans. Keep in mind that your state income taxes are currently counted towards your itemized deductions as well as mortgage interest. By adding some charitable giving to the mix, most of us can easily exceed the standard deduction limits and be able to itemize instead. What is different from some other itemized deductions is that you don’t have to exceed a certain percentage of your income. For example, in order to itemize medical expenses, your medical expenses have to exceed 7.5% of your adjusted gross income, otherwise, you cannot itemize them. In comparison, qualified charitable gifts will deduct substantially from your income if you can itemize. There’s no minimum that you must do. Just do something and then do some more and then you will be helping your community and the world as well as getting a tax write-off. 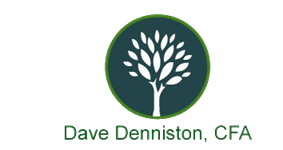 “To be deductible, charitable contributions must be made to qualified organizations. Payments to individuals are never deductible. See Publication 526, Charitable Contributions. To determine if the organization that you have contributed to qualifies as a charitable organization for income tax deductions, review Exempt Organizations Select Check on the IRS.gov website. For a contribution of cash, check, or other monetary gifts (regardless of amount), you must maintain as a record of the contribution a bank record or a written communication from the qualified organization containing the name of the organization, the date of the contribution, and the amount of the contribution. In addition to deducting your cash contributions, you generally can deduct the fair market value of any other property you donate to qualified organizations. See Publication 561, Determining the Value of Donated Property. For any contribution of $250 or more (including contributions of cash or property), you must obtain and keep in your records a contemporaneous written acknowledgment from the qualified organization indicating the amount of the cash and a description of any property contributed. The acknowledgment must say whether the organization provided any goods or services in exchange for the gift and, if so, must provide a description and a good faith estimate of the value of those goods or services. One document from the qualified organization may satisfy both the written communication requirement for monetary gifts and the contemporaneously written acknowledgment requirement for all contributions of $250 or more. I cannot overstate the tremendous implications of having the ability to contribute an appreciated asset. This means that if you have a position with a HUGE unrealized gain, you never have to realize it. Instead, you can gift it (or part of it) to a charitable organization AS IS and receive a deduction for doing so. There are some other more specialized strategies that many doctors should consider as well. 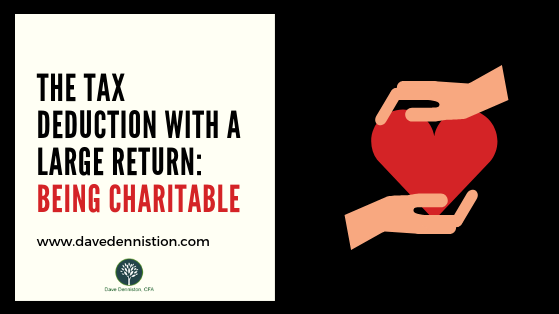 For example, you can set up your own foundation or charitable remainder trust (CRT) and donate an appreciated asset DIRECTLY to your foundation or CRT and get a tax write-off. In the case of the foundation, you can distribute a percentage of the foundation to charities of your choice. Essentially, you are maintaining control of an asset and have say over its growth, creating a legacy portfolio that your kids can continue after your passing to continue to make a difference in the world. This is the exact strategy that Bill Gates has employed. This has allowed him to avoid paying hundreds of millions of dollars in capital gains. Instead, consider the charitable remainder trust. The initial start is the same as a foundation- you can contribute highly appreciated assets and get a tax write-off. Then, you start an income stream back to yourself that is taxable (possibly just partially). Whatever is left in the trust at your passing is contributed to the organizations of your choosing when you established the trust. Another charitable strategy that I think is far too under-utilized is charitable giving through required minimum distributions. Once you hit 70.5 years old (don’t ask me why the half year, it’s the IRS), you HAVE to start taking distributions from your IRA or 401k or 403b (unless you are still working for a given employer). Many physicians have VERY substantial IRAs. As a matter of fact, I have several clients who are required to take $50,000 to $150,000 in distributions EVERY year. These distributions are normally ENTIRELY taxable. However, here’s the good news- if you instead direct PART or ALL of that to a charitable cause (a qualified entity, not a person). You will NOT have to pay taxes on that part of the distribution. Again here, by having your own entity like a charitable foundation or CRT, you can have the funds gifted to the places you want, while having control over the investments and allowing them to continue to grow on your own terms over the years. Make sure to review the tax law before you consider using this loophole. Congress has to approve it every year. As of the time of writing this guide, this is still a strategy that you can employ. Action Step: Review over Action Step 1.2 and your last year’s tax return. Did you itemize your taxes or take the standard deduction? How close were you to being able to itemize your deductions? Review over Schedule A in your tax return. What itemized line items were you able to take advantage of? How much did you give in charitable contributions? Could you do more and take advantage of the tax code? Action Step: Review over your non-qualified (money that is not in IRA accounts) accounts. Do you have positions with large capital gains? Do you have need of this money? Could you establish your own foundation or CRT and take the tax write-off? Are you near or above 70.5 years old? Do you need all of your required minimum distribution? Could you donate some of it? Would you like assistance setting up your tax deductions? I'd love to help. Feel free to contact me at [email protected] to set up a consultation.